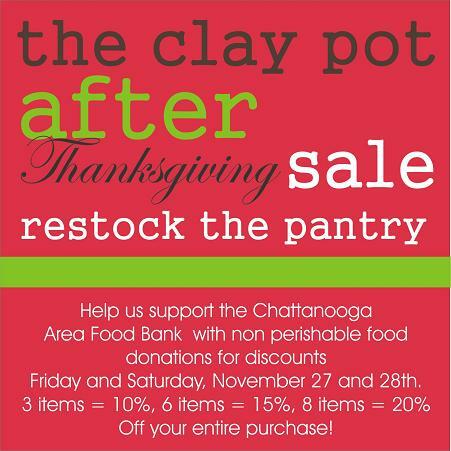 Here’s the Dirt…"Stock the Pantry" After Thanksgiving Sale at The Clay Pot! “Restock the Pantry” After Thanksgiving Sale! restock their shelves for the holidays!